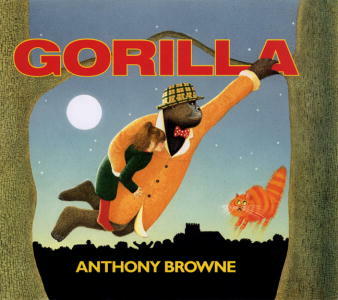 If your kiddo likes Good Night, Gorilla, I suggest you freecycle (or maybe just recycle) the zoo propaganda and pick up a secondhand copy of Anthony Browne’s Gorilla instead. The next morning, Hannah awakes to an attentive father who offers to do finally what she’s been asking him to do all along: bring her to the zoo. Whether the pair goes is ambiguous. I like to think that they spent a leisurely day in the park instead. I loved Gorilla and thankfully so do my children! Such a great story that will never go out of fashion!